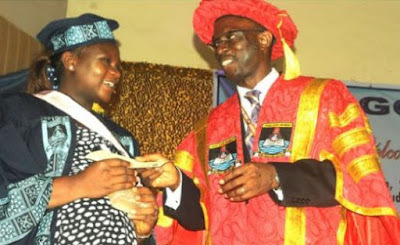 Elizabeth Orefuwa, the best graduating student of Lagos State University (LASU), wrote the Unified Tertiary Matriculation Examination 7 times before gaining admission into the institution. Orefuwa graduated with a cumulative grade point average of 4.74 in accounting education at the 21st convocation of LASU. The chartered accountant on Wednesday said she would have given up on her dream of pursuing university education but wanted to satisfy her father. Orefuwa said she became an associate accountant in 2010. 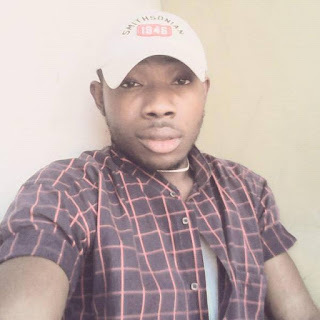 “When I eventually secured admission to LASU, my aim was not to be the best graduating student. I just wanted to satisfy my dad’s yearning,” she said. “The journey through the institution was not easy; it took me seven years of writing the UTME before I finally gained admission in 2012. “I also applied for direct entry three times at the Obafemi Awolowo University, Ile-Ife. Orefuwa, who is pregnant, got married at the beginning of her final year. “I had a CGPA of 4.72 before marriage and I graduated with 4.74. I got married during my final year in 2015 and my husband was very supportive throughout that period,” she said. All the best graduating students were women apart from Shobowale Olumide Adekunle, the best graduating student in the faculty of engineering. Lawal Amidat Abiola was the best graduate of the faculty of law while Oshikomaya Christy Kemi emerged best from the school of transport. Oduntan Saidat Abimbola and Bello Adebola Oluwadamilola emerged best in the school of communications and college of medicine respectively. Herietta Ugwoma led the faculty of social sciences while Oyerinde Faith Temilola was the brightest graduate from the faculty of science. Lanre Adigun Fagbohun, the vice-chancellor, said there were 36,481 graduating students.